As well as exciting celebrity guests and official screenings, PM2007 on August 19th 2007 will play host to another very special event in Portmeirion's Hercules Hall. 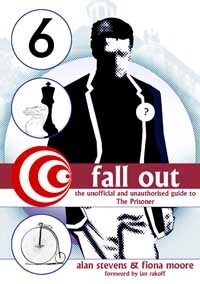 "Fall Out - The Unofficial Guide to The Prisoner" will be officially launched at the event. Copies will be on sale to attendees, and the 2 authors, Fiona Moore and Alan Stevens, will both be interviewed on stage regarding the book and be available to sign copies and answer questions. Also attending will be author and historian Robert Fairclough, who will be updating us on his "Prisoner" related work. More details on this ticket-only event can be found HERE.